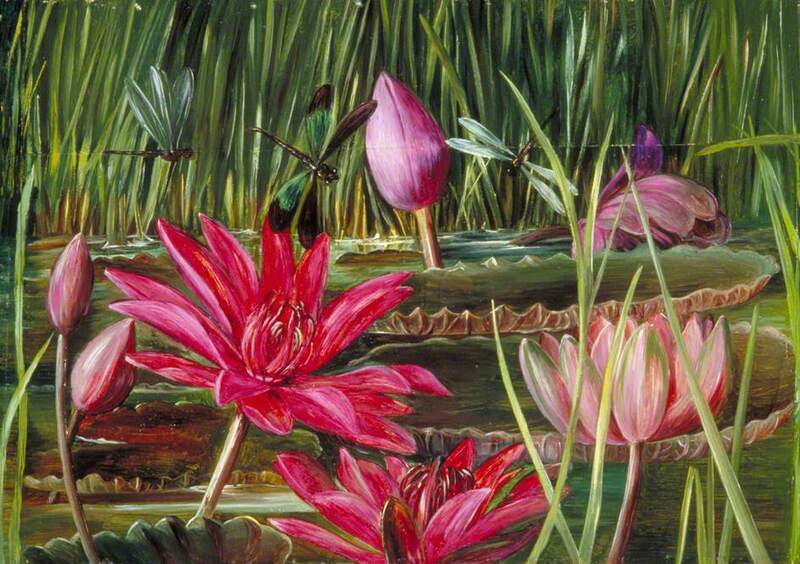 Marianne North (1830-1890) was a major British naturalist. 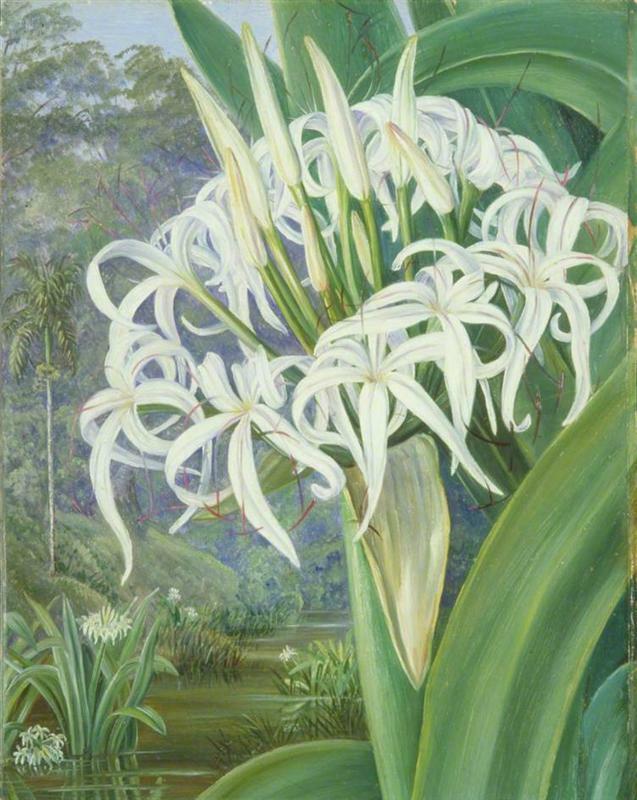 She is known for her work in biology and botany, as well as her extensive travel writings. North grew up affluent and trained as an opera singer, and after her voice failed she began painting flowers. 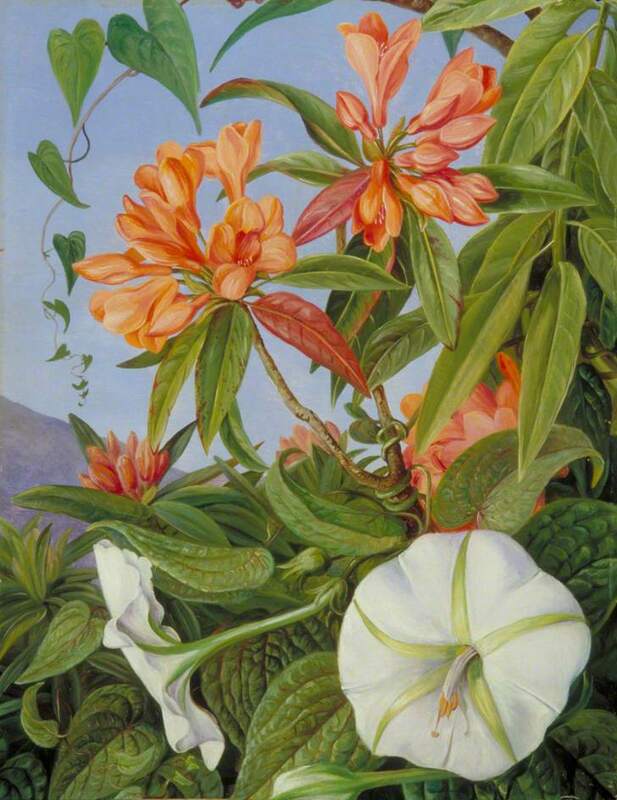 She lived with her father in Syria and Egypt for a few years, and when he died in 1869 she chose to pursue her ambition of painting plants of foreign countries. She first went to Sicily, then North and South America, spending time in Jamaica and Brazil. 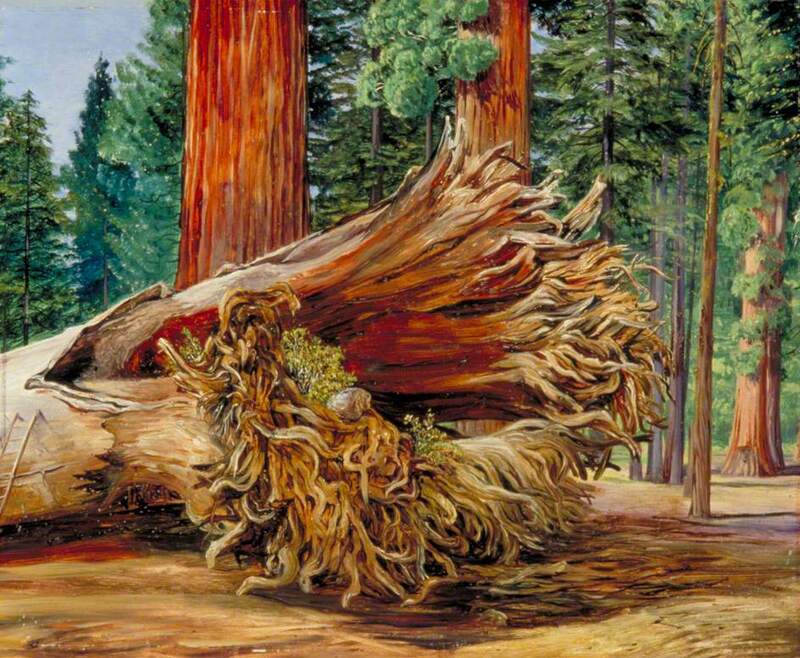 North lived in the Canary Islands, then traveled around the world, painting the flora of locations like California, Japan, Borneo, Java, and India. 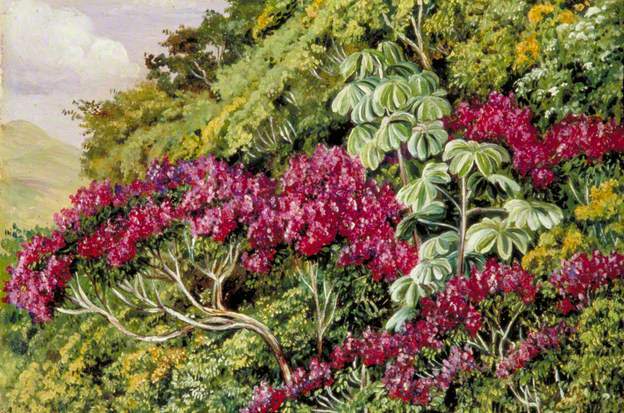 Today, she remains best known for these botanical paintings, but during her travels North also became an accomplished landscape painter, carefully rendering the many locales she visited. The beautiful delicacy of this view of Borneo is really quite amazing. North brilliantly conveys the pale light of sunrise, and uses the river to explore the nature of that light. 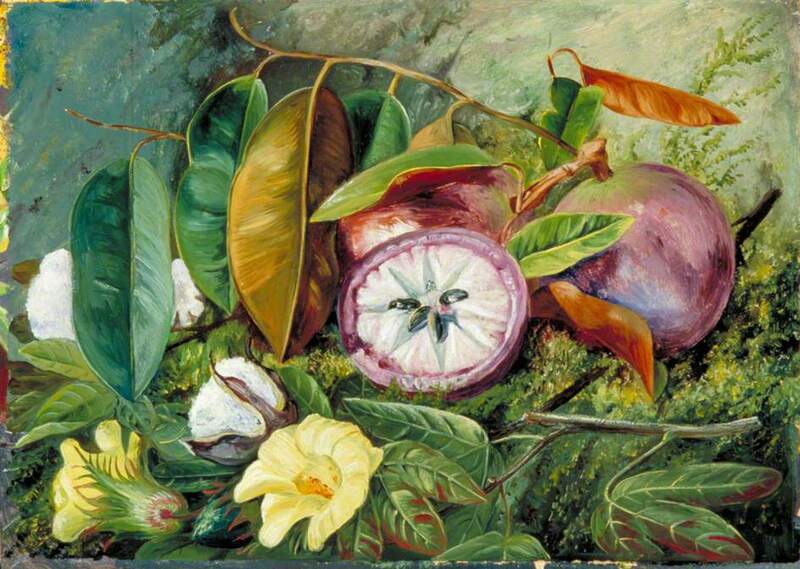 She uses a narrow palette, employing only a few colors necessary to depict an accurate rendition of the scene. The pale yellow that occupies most of the scene transforms into gold and complements the distant blue mountains. North's hand is so sure, with every stroke precisely chosen to shape this sunrise. 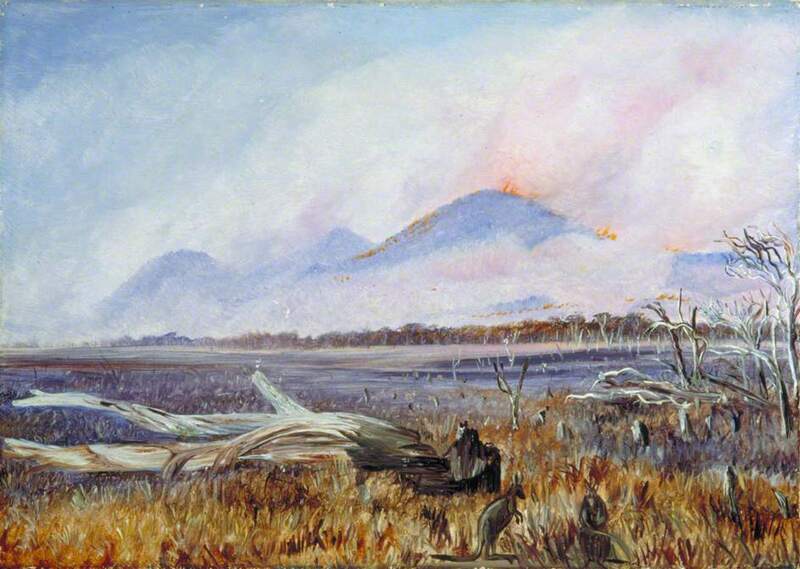 This is a small painting, but the unusual panoramic shape gives it an expansive and sweeping quality. Спасибо за этот пост, Дэвид. Почитал... растворился... Только живопись и вообще (настоящее) искусство и творчество и спасают часто в жизни.